We LOVE this heart-accented wedding guestbook! 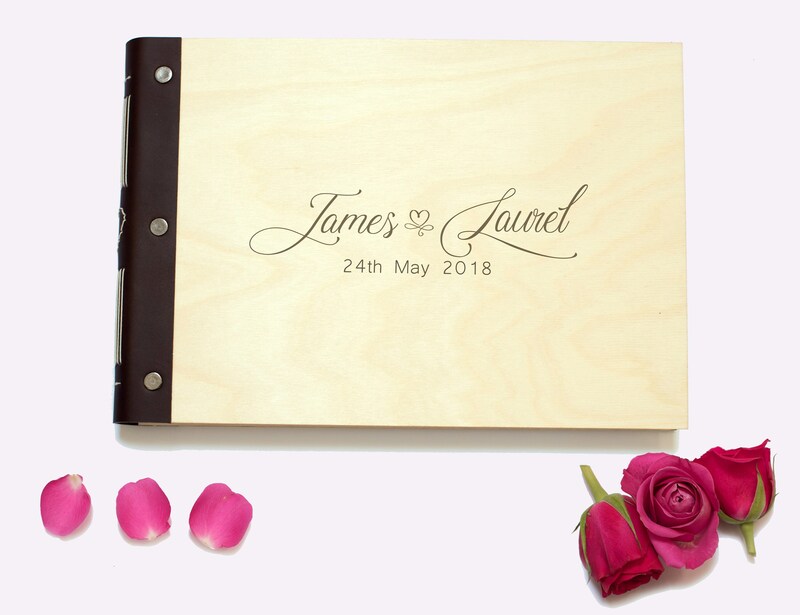 Whether you want a unique guest book, an album in which to keep the photos and keepsakes of the special day or want to give this as a quirky wedding gift, this understated A4 handmade leather-spined book is perfect and can be personalised with the couple's names and the date of the wedding - or we can work with you to get your perfect design on the front. 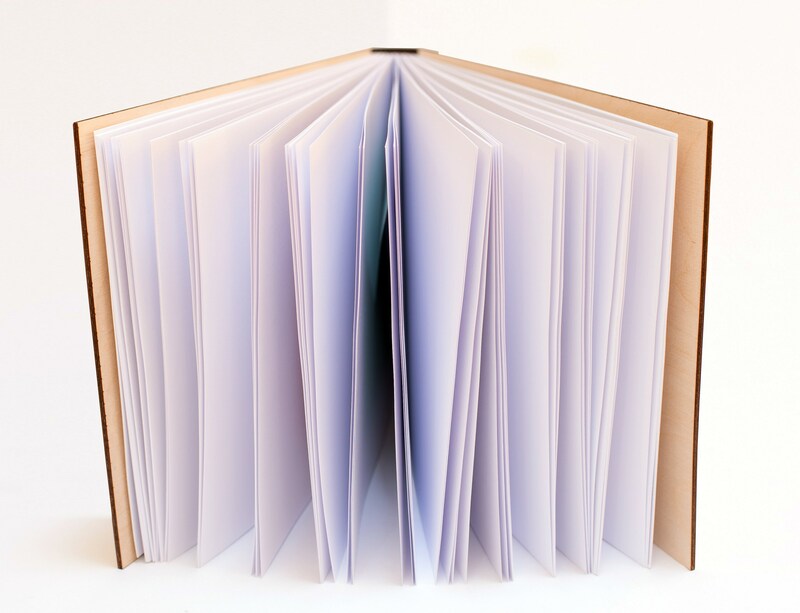 Containing 180 pages of plain white paper with nine additional hand-made envelopes, this is the perfect way to preserve your memories so that one day you can look back and share your amazing story. 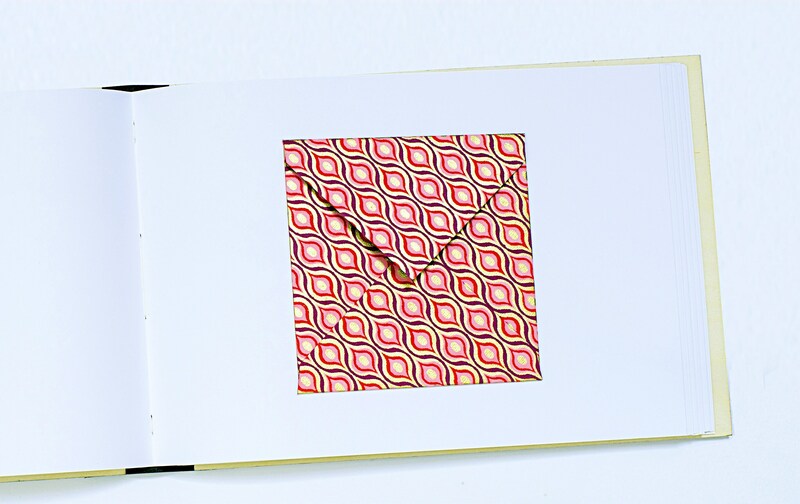 Each of the nine pocket envelopes is made by ChickenPink from colourful, recycled and handmade papers (colours may vary). 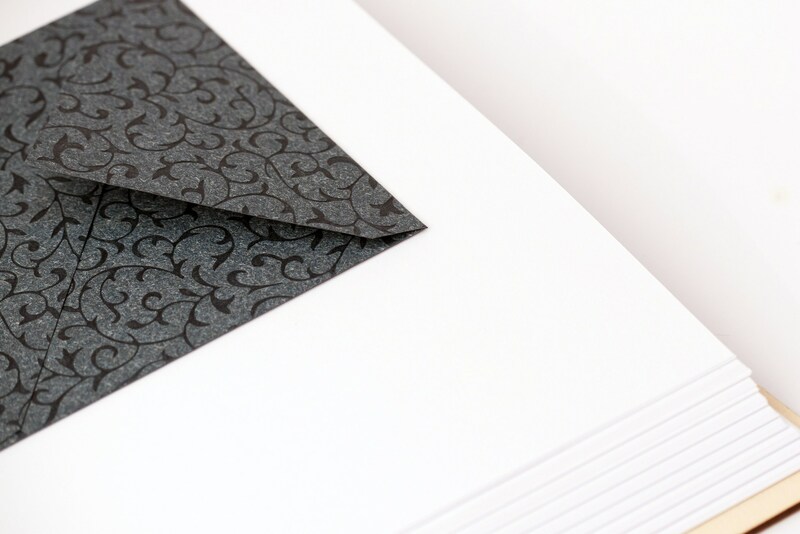 The pocket envelopes are not sealed, but have a flap that will keep them closed while the album is shut, perfect for saving place settings, confetti, notelets, pressed flowers, orders of service, etc. - all the little things which made your big day so special. 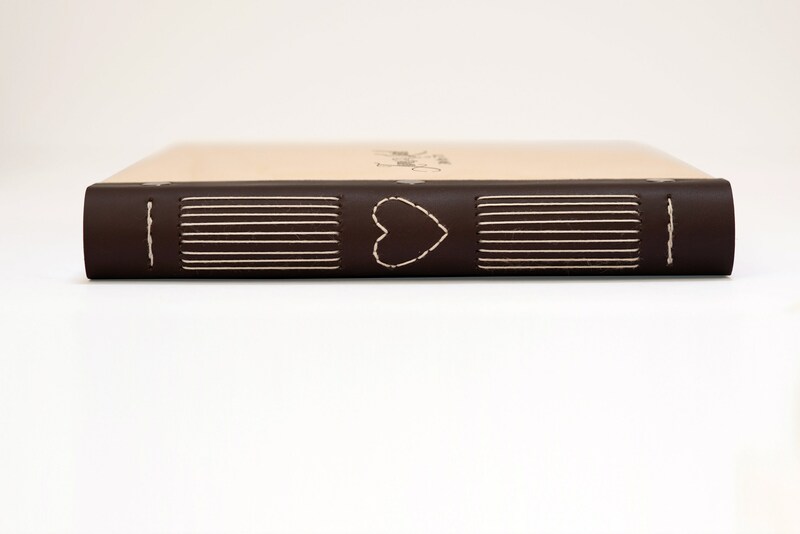 Integrated into the stitching on the leather spine is a stunning heart motif, which sets the finished journal off beautifully. 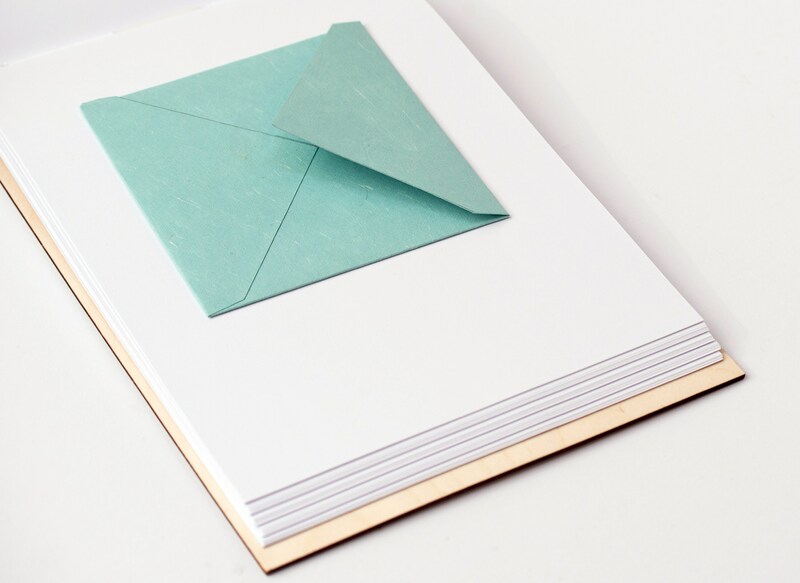 We have created this beautiful journal as the perfect way for you to record the little things, jot down your memories and illustrate them with photos or sketches so that one day you can look back and share your amazing story. 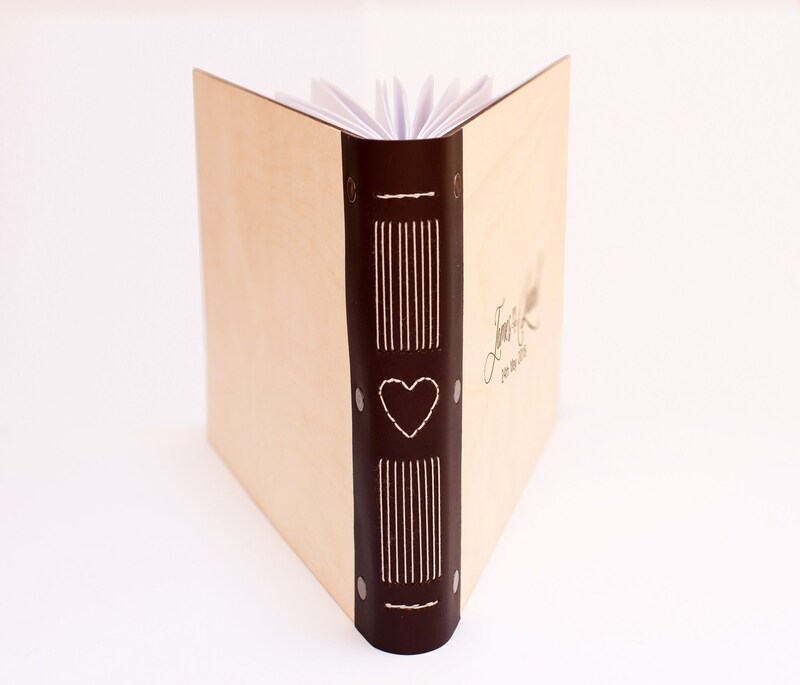 The album is produced using ethically sourced birch ply, bound with top quality leather, finished with gun metal rivets. The names of the bride and groom are illustrated in romantic calligraphy, along with the wedding date. 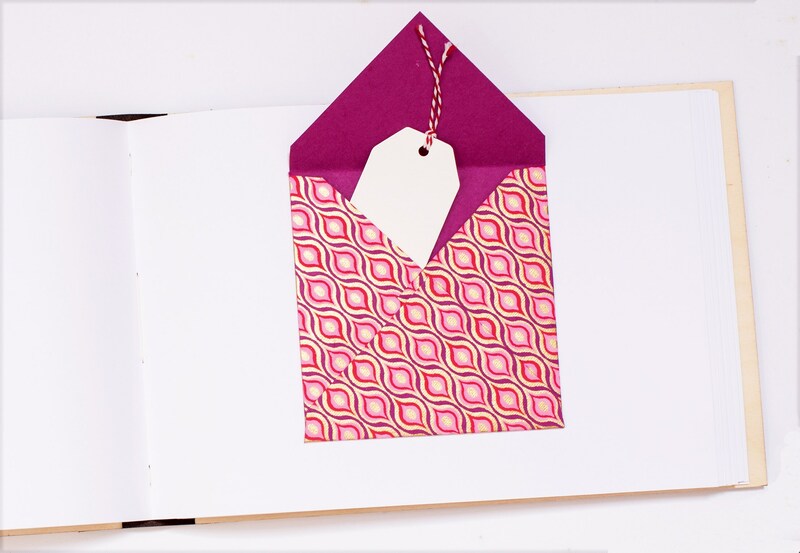 Please let us know your personalisation requirements in the 'note to seller' section at the checkout when you place your order. 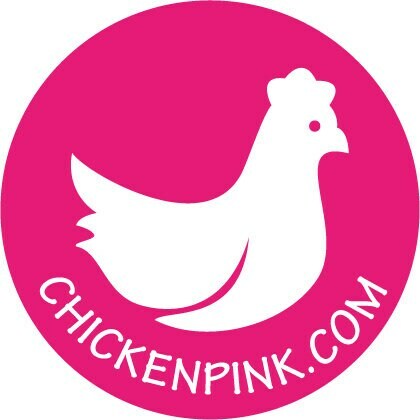 All ChickenPink's personalised gifts are made to order, therefore the sky's the limit in terms of personalisation. If you would like anything specific designed especially for you, or just simply changing fonts/colours, etc., then let us know and we'll work with you to get your design just right.